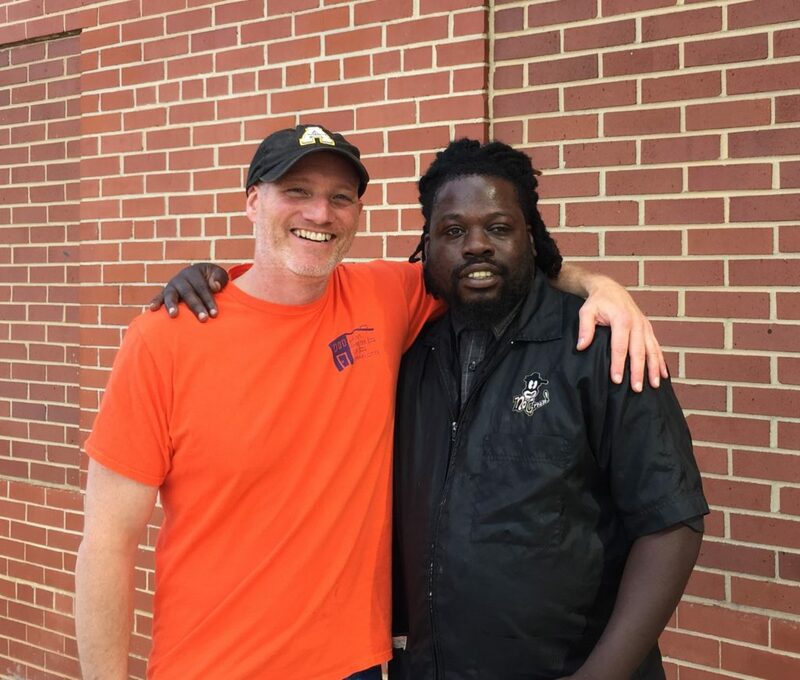 “Once I finish barber school and get started, I want to come back to the shelter to help.” Things have finally turned around for former guest Randy who is now housed and excited for his new life ahead of him. Last year, Randy’s life was a lot different. His family relationships were lost and he was experiencing homelessness for the third time in a few years. Randy’s first experience with homelessness occurred early in his adulthood. He lived with his mom until their relationship became strained. 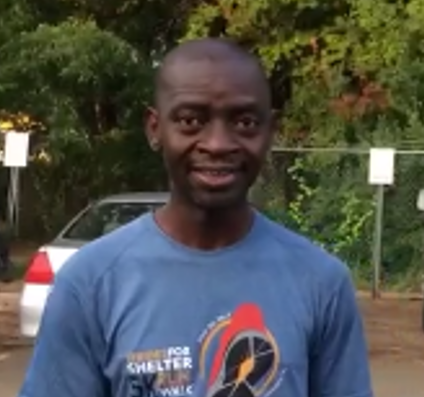 Randy left her house to live on his own, but with very little resources and no support network, Randy found himself experiencing homelessness and turned to Men’s Shelter of Charlotte. “I’ve been homeless a few times,” says Randy as he recalls living on the streets as well as in our shelter. We learned that during his experiences, Randy struggled with mental illness. His last visit to our shelter resulted in Randy connecting with needed resources and obtaining income through disability, as his mental illness was formally diagnosed. Through our rapid re-housing program, one of our Housing Specialists helped him move into housing, which included a year’s rental subsidy to help him gain better financial footing. One of our Housing Retention Specialists continues to follow-up with Randy to monitor and encourage progress. He has since enrolled in barber school and looks to supplement his income once he’s graduated. Because of Randy’s commitment, he was chosen for a small scholarship, which provides dollars to use toward his education. The dollars were made available from a generous donor whose late husband was on the board of Men’s Shelter of Charlotte. Since being housed, Randy has re-united with his mother, who recently fell ill, and repaired relationships with family members. He now plans to move in with his sister as he continues rebuilding his life, caring for his mother, and pursuing his dream of becoming a barber. “People in the shelter have a lot of potential and goals! They just need help to overcome barriers.” One former guest shares this sentiment before leaving our shelter to return to Cameroon to be reunited with family after his mother’s tragic passing. After being laid off as a loan officer, this guest lost his housing and turned to the Men’s Shelter of Charlotte. With help from volunteers from the volunteer F3 initiative, he had the support to return home. Through the weekly workouts, this former guest shared with F3 volunteers that he immigrated to the United States and settled in Washington D.C. With a Master’s Degree in Economic Development and a Bachelor’s in Economics, his future looked bright. 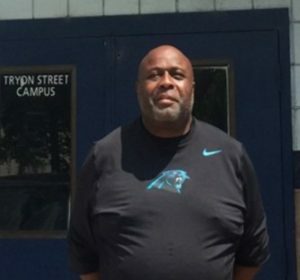 After being laid off, he traveled to Charlotte in search of opportunity, only to find himself in need of emergency shelter. While at the shelter, he chose to take advantage of a new volunteer group – F3, which stands for Fitness, Fellowship, and Faith. This dedicated group of volunteers arrives at our shelter every Tuesday at 5:30 a.m. to recruit guests to participate in the weekly workout. While there is one individual who leads the workout, everyone works out together; as equals. This former guest became a regular and found the comradery of great support in his journey to pull his life together. Unexpectedly, he received word from his family in Cameroon that his mother died. This passing spurred his desire to move home. While he was beginning to make progress in Charlotte, he felt an intrinsic need to be with family. Upon hearing the news, his newfound F3 friends pulled together to ensure he had the funds to return home. On his last workout, he shared a few words of wisdom. One of his most poignant stories described an elephant in Cameroon that was unable to lift itself out of a water reservoir, until another elephant gave a push and made the difference. He shared this story as an illustration of how the shelter and F3 helps men in our community. Hear about the impact directly from this former guest! “My life is really like a storybook,” Emmett, recalls. Emmett, a former MSC guest, graduated from Shaw University, served two years in the Air Force, and worked for General Electric. During his service in the Air Force, Emmett began to struggle with mental illness, which eventually became disabling. Maintaining steady employment and housing became a challenge. For years, Emmett lived in boarding houses and on the streets with little family contact. Emmett was experiencing homelessness when his father died in 2016, and turned to Men’s Shelter of Charlotte for help. Emmett connected with Adia, our Veterans Housing Specialist, who helped him apply for housing, resources, and even obtain a copy of his birth certificate, which had previously been lost. Jordan, bottom left, doing those push-ups! This year, longtime volunteer, Jordan Abshire, launched a weekly boot-camp workout at Men’s Shelter of Charlotte in partnership with F3 Nation (Fitness, Faith and Fellowship). The workout was aptly named Fortitude. Jordan viewed the workout as another vehicle to bring a sense of normalcy to guests in a time of disruption in their lives. He connected with John Lambert, who had started a similar F3 workout at Charlotte Rescue Mission…and the rest is history! 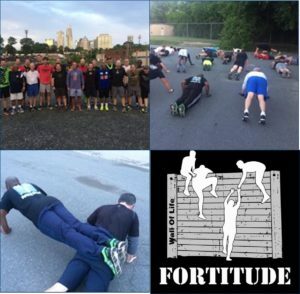 Click here to read John’s account of the inaugural Fortitude workout. Join us any Tuesday at 5:30 am at our Tryon Campus (1210 North Tryon Street). It’s early but it will allow you to connect with our guests in a personal way, on the same level, as teammates struggling and preserving and encouraging each other in the pursuit of better health and fitness. Be sure to follow our Tuesday workouts on Twitter, #Fortitude. Don’t Miss These Heartwarming Stories! At our core, the Men’s Shelter of Charlotte is about people helping people. This comes in the form of basic needs, employment, and housing. Don’t take our word for it: View these videos to gain a better understanding of what we do and why we do it!